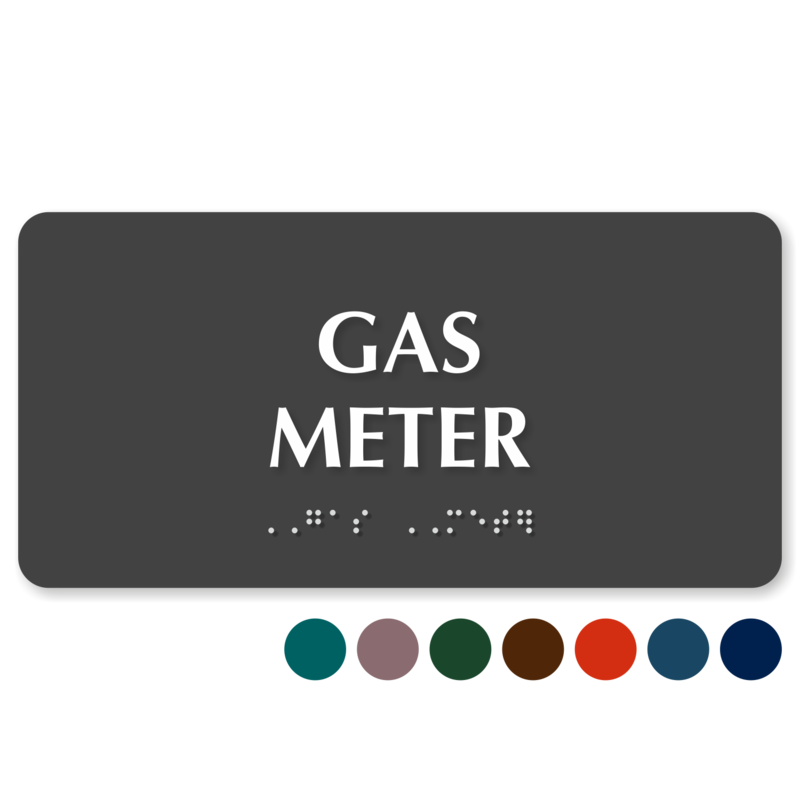 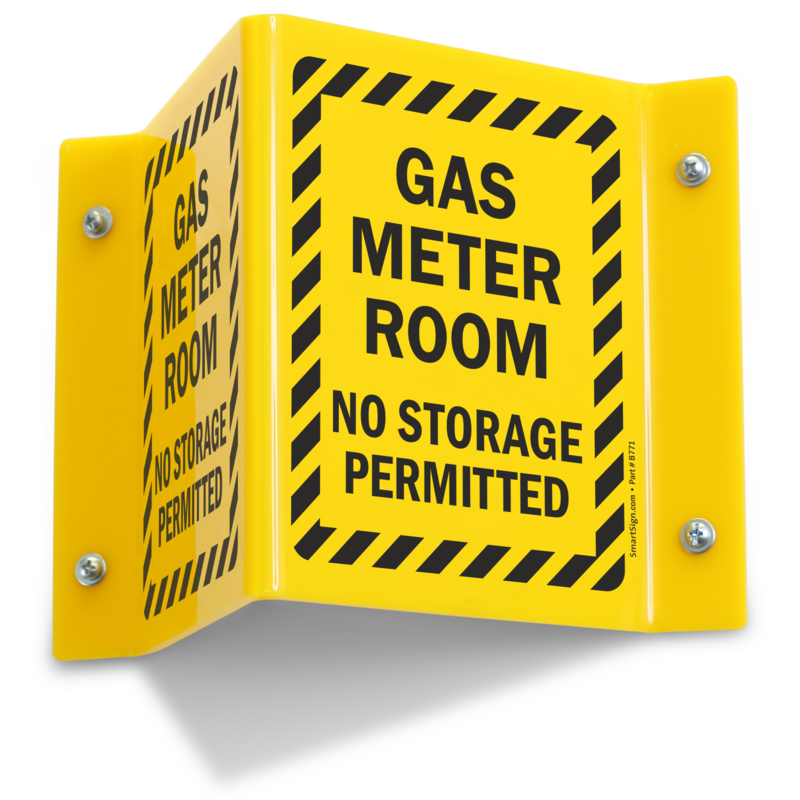 Make it easy for your staff, outside contractors and utility workers to quickly find your electric, gas or water meter rooms. 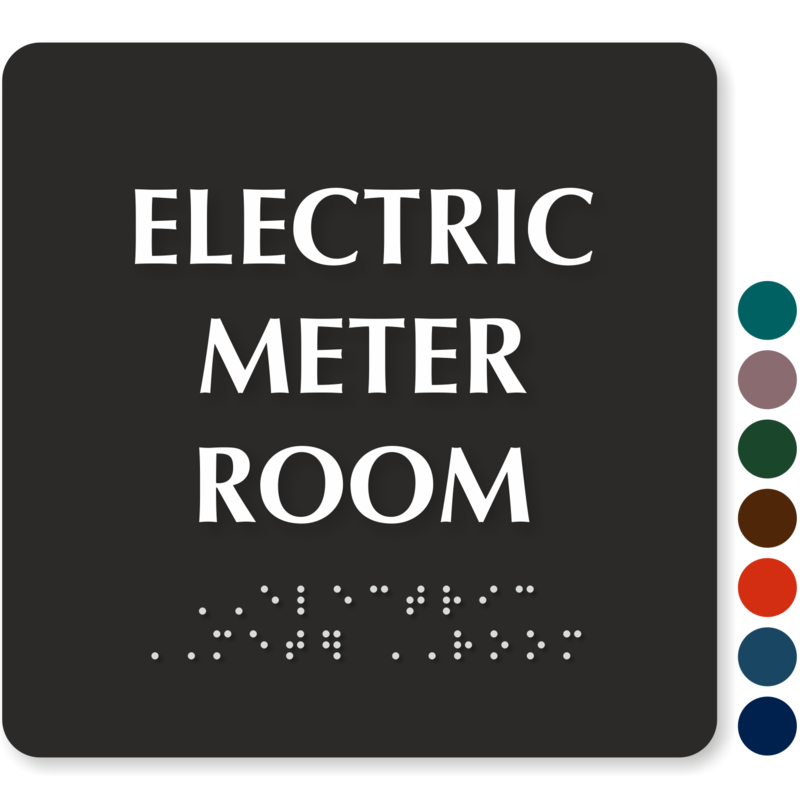 • Keep electric meter room clear of hazardous clutter and safe from unauthorized people. 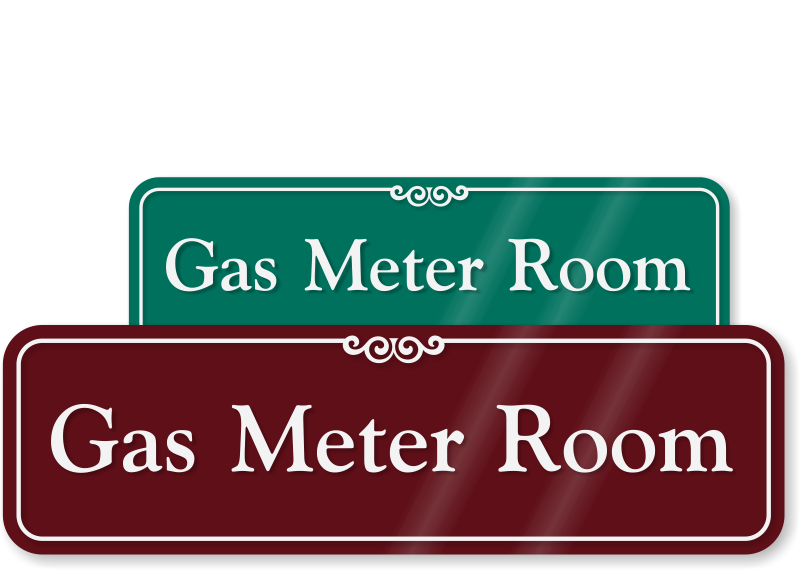 • All our signs maintain a professional appearance and are ideal for official use. 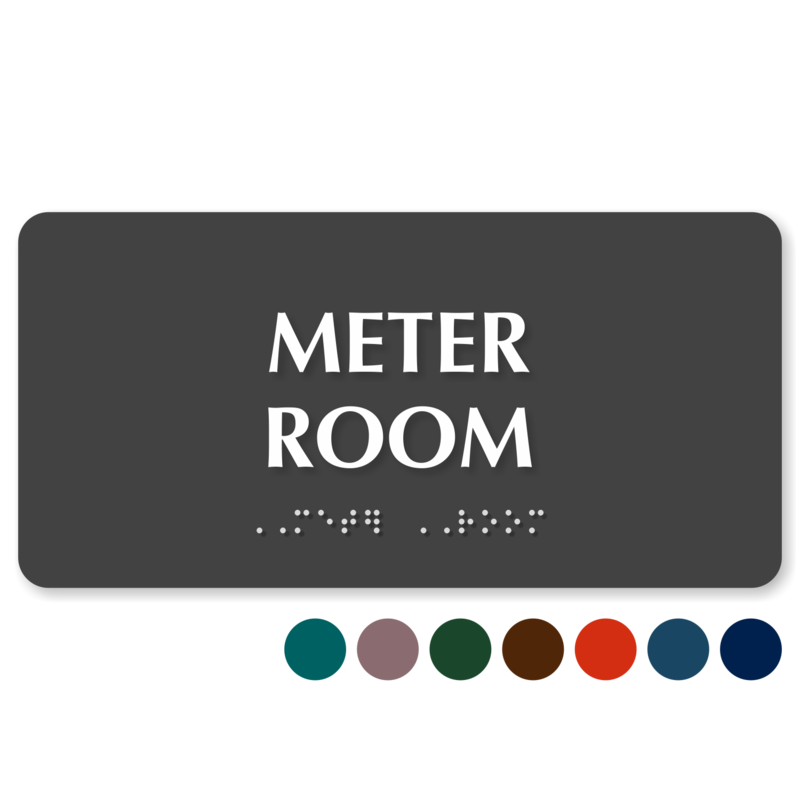 • Braille signs are available in 16 different designer colors. 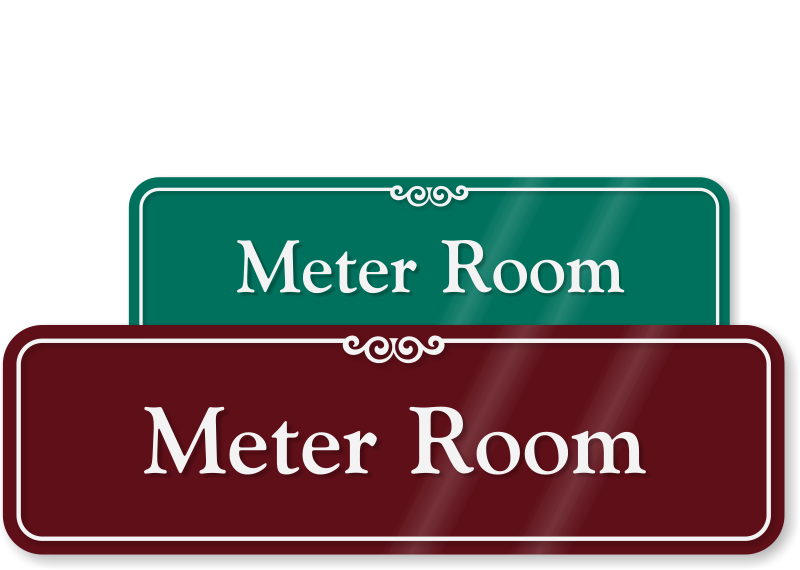 • Signs come with simple and easy to understand messages. 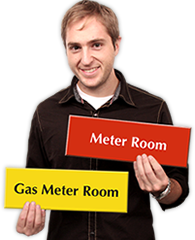 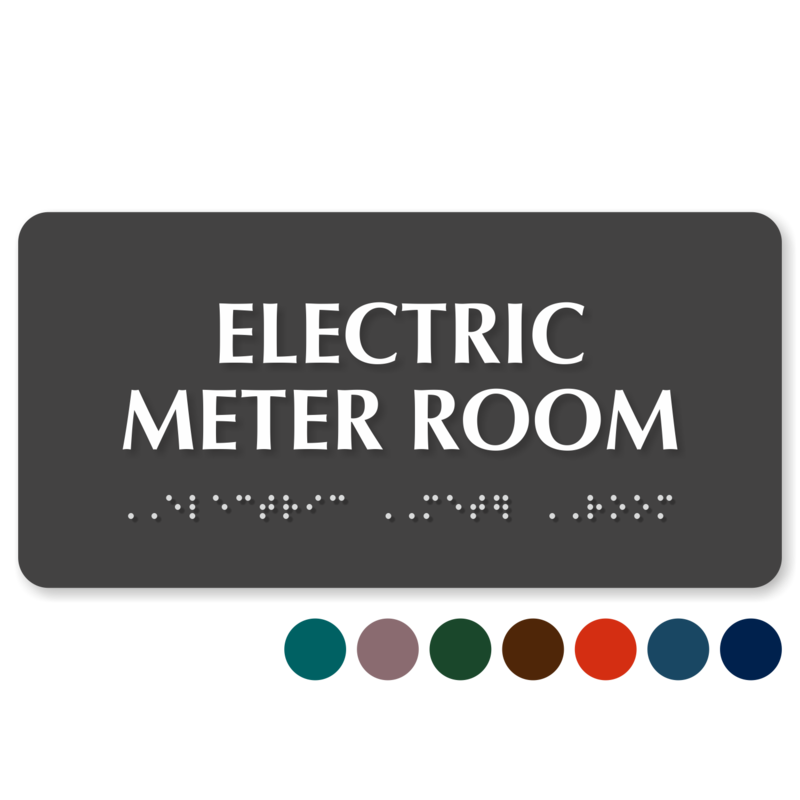 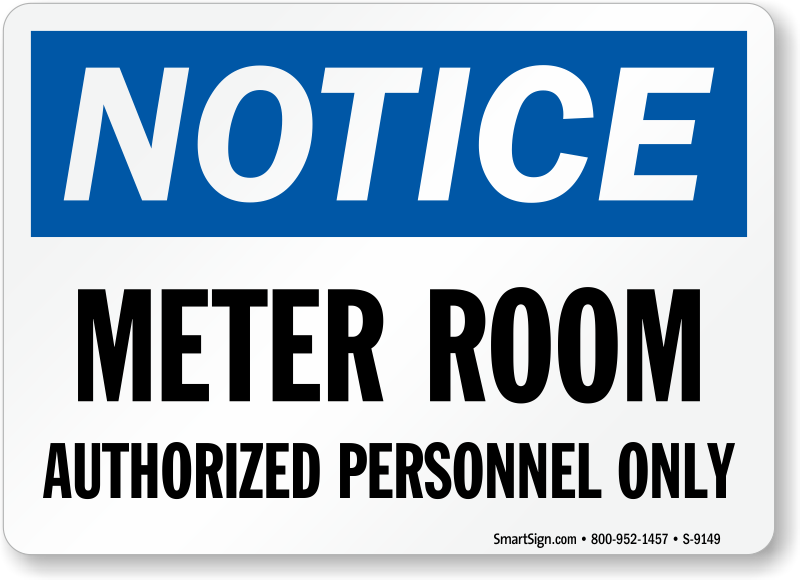 Mark all hazardous places including electrical rooms at your workplace with Electric Room Signs. 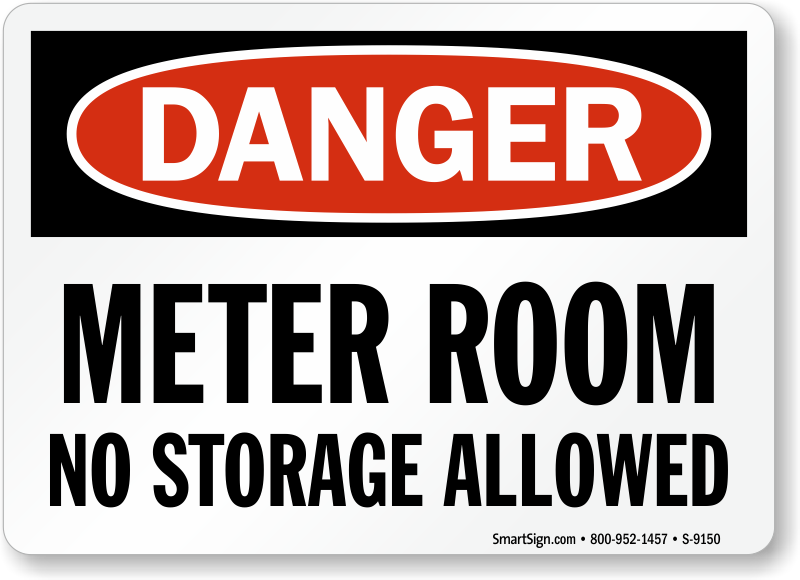 3" x 9" to 4" x 12"